With over 4 million record sales and a list of huge hits, John Paul Young is one of the most popular Australian artists of the 70's. He was inducted into the ARIA Hall of Fame in 2009 and was honoured with an Order of Australia in his 40th year in the music industry in 2012. With over 4 million record sales and a list of huge hits, John Paul Young is one of the most popular Australian artists of the 70's. He was inducted into the ARIA Hall of Fame in 2009 and was honoured with an Order of Australia in his 40th year in the music industry in 2012. 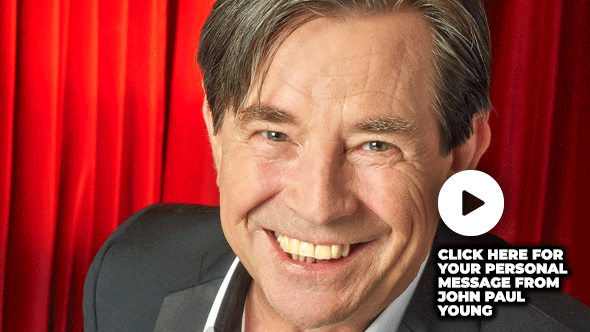 John Paul Young will be entertaining thousands of fans at Day on the Plain with his chart-topping hits including Yesterday's Hero, Pasadena, I Hate the Music and of course Love is in the Air. Don't miss your chance to see JPY live at Day on the Plain - book your tickets online now! When was the last time you got out and about on the Western Downs? Experience more of the Western Downs with our community at local events across the region! As part of the Big Skies program, Western Downs locals are getting involved by hosting community events just for you. There's something for everyone including an exclusive tour of the new Chinchilla Botanic Parkland, a comedy night with Fiona O'Loughlin at the Dalby Leagues Club, Dinner Under the Stars with a Radio Play by the Miles Regional Arts Council, an Outdoor Cinema with the Dalby PCYC and much more! 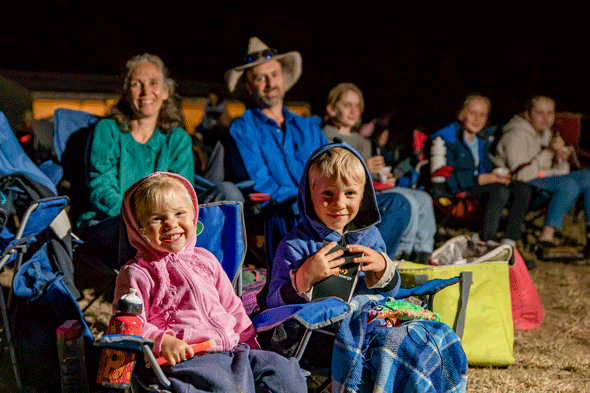 The Outdoor Cinema will be a big hit for the whole family at Jimbour Station in the Camp Kitchen area. Bring your blankets, chairs and picnic rugs ang get ready to snuggle up under the stars for an evening of cinematic grandeur. It's free to attend with food available for purchase with all proceeds going to the Dalby PCYC. Be sure to add these community events to your Big Skies program. They're a special experience not to be missed! If you need more time to pay off your Big Skies tickets, then take advantage of our 'Time to Pay' option. This checkout option breaks your ticket basket down to fortnightly payments making it cheap and easy for you to secure those tickets! 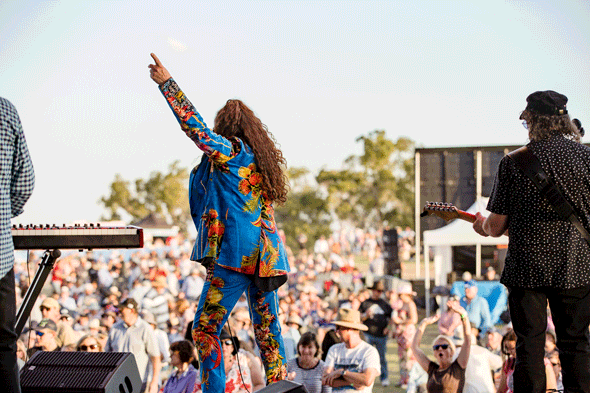 So, don't miss your chance to book your spot to see the best of Aussie rock west of the Great Divide at Day on the Plain.